Being a wheelchair user should not have to restrict your travel opportunities. 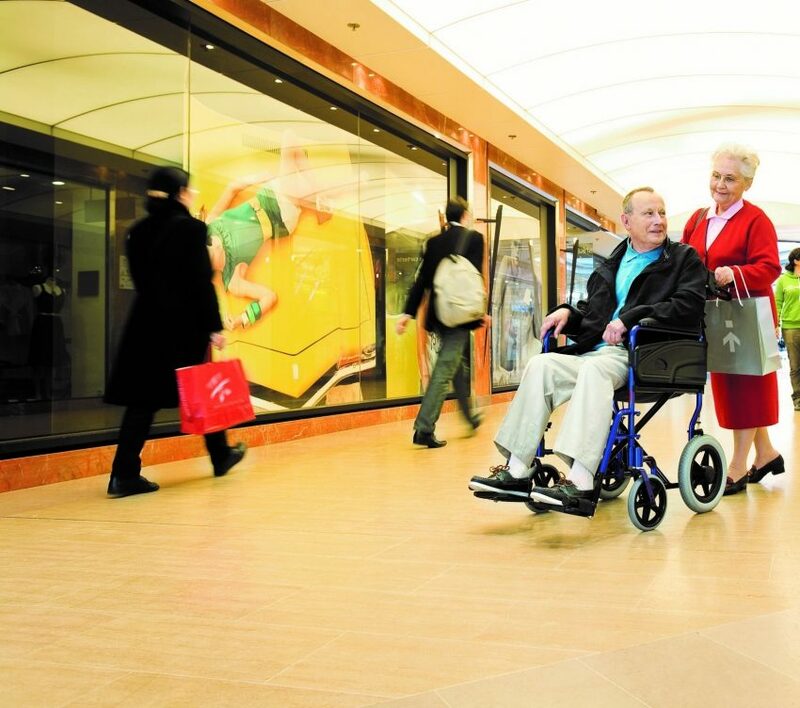 If using a Transit Wheelchair there are some quite simple ways in which journeys, regardless of length, destination or mode of transport can be made hassle free. 1 What is a Transit wheelchair? What is a Transit wheelchair? However, a Transit Wheelchair can also be self-propelled which means that the user maneuvers the chair themselves, usually by moving larger rear wheels. They rely on the user having good upper body strength and allow them to maintain independence and take control over daily choices within a particular environment. 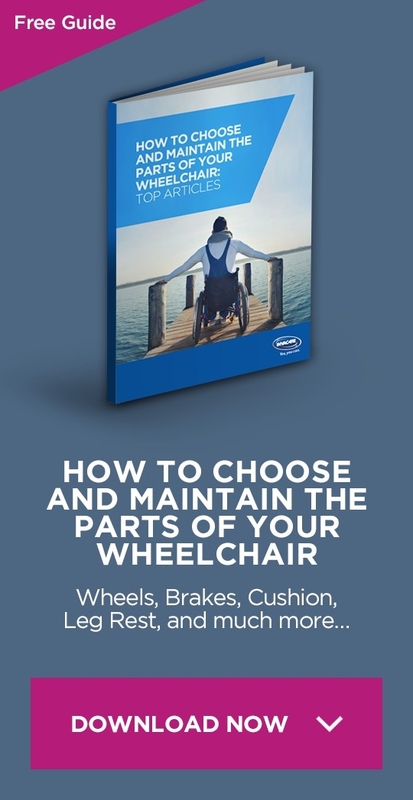 Car – Whether you have an adapted car and are the wheelchair user or the attendant of a transit wheelchair it is crucial to consider your own back care when loading and unloading. This should include being aware of space around the vehicle at both ends of the journey and researching parking options so that opportunities on arrival are maximised. 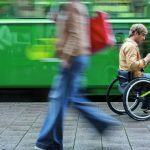 Public transport – Many rail and bus operators offer a service that is accessible to people requiring specific assistance. 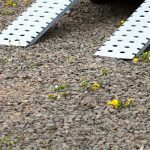 The majority of buses now offer easy access with lowered floors to support improved access/egress for transit wheelchair users. Where journeys are planned it is always worth checking with bus/rail providers to ensure that you as the wheelchair user can be supported properly. Plane – In most circumstances you can use your own transit wheelchair as far as the boarding point of the aircraft. At this point you are normally transferred into an aisle chair. Your transit wheelchair will be stored for easy access on your arrival but it is recommended that you remove all detachable parts and label all with name and destination/flight number. Make sure that when booking the agent knows what type of transit wheelchair you have. Consider attaching assembly instructions to the wheelchair in both English and the language of destination. Inform security agent prior to arrival if you cannot mobilise through metal detector without your transit wheelchair so that alternative arrangements can be made. 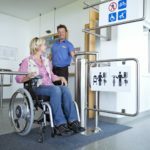 Cruise ship – Despite perceptions of limited space it is quite widely accepted that cruise ships provide transit wheelchair users with the most accessible international travel experience. It is however important when booking that Tender (the smaller boat that takes you to the cruise ship when not in dock) access is queried to ensure it meets your needs. 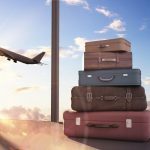 Most companies have a department that specifically deals with travelers who have additional needs, asking to speak to them specifically may help. Request pier assistance which means you are given priority boarding for you and your family. Put identifying information on your transit wheelchair. If you need other equipment in your room such as commode or level access showering let the company know as soon as possible on booking. Travelling anywhere with your transit wheelchair, whether across the world or a few miles to the local supermarket could feel daunting and cause some to cancel their plans. However, with appropriate planning, confidence and motivation to engage in meaningful activity the wheelchair user should be no more restricted than other non-wheelchair users. Sites such as https://www.gov.uk/guidance/foreign-travel-for-disabled-people offer practical advice as well as legal and legislative guidance for wheelchair users so that all journeys can be safe, comfortable and accessible.